The leaves are starting to change colour. Greens are turning to oranges, reds, and yellows, and we all know that this means the cooler breezes and chilly nights are on the way. And if we are going to be honest with each other, snow has already fallen on the mountain passes between the bustling city of Vancouver and the more remote towns of the interior. But not a mere four to five hours away from Vantopia, viticulturalists and viniculturalists are hard at work alongside their picking crews trying to put the new vintage wines together for bottle and aging. Furthermore, as fall approaches, winelovers everywhere are making that switch from crisp white wines to deeper, more warming reds. Personally, I’m still hanging on to the last rays of sunshine, and am still sipping Rieslings and rosé, but that’s just me. 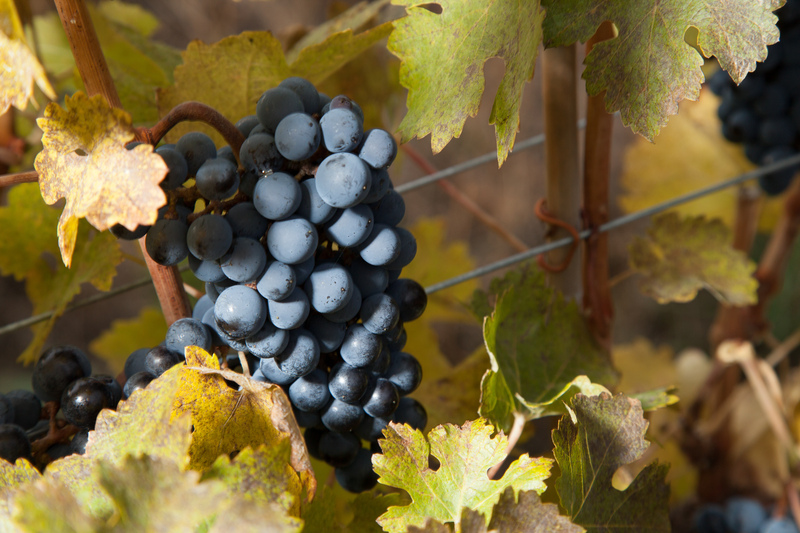 As fall digs deeper into the ground, I want to let you know about some of the reds that you can find which might not only solidify your understanding of what British Columbia wines are, but also about a time and place in the Golden Mile Bench – British Columbia’s first sub-geographical indication (sub-GI). 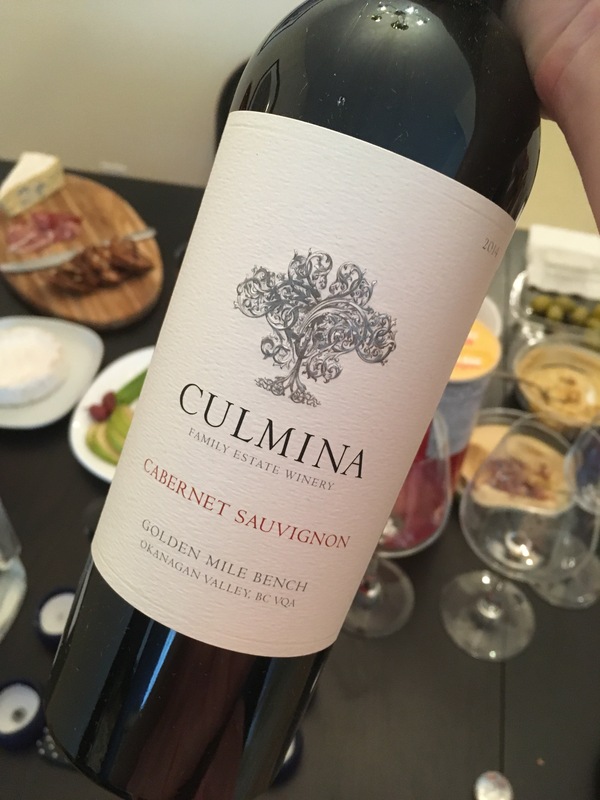 I have written about Culmina Family Estate winery on my blog before. You can read more about their winery here and here. Today, however, I’m going to talk about their red wines, as we have many cozy nights to look forward to either in front of the fire with a book in our hands or snuggling up to our loved one on the couch. Oh, and, well, there are also a number of holiday parties that will start to fill our calendars in short order. So, make sure you’re making good choices with what you bring to sip and savour, winelover! Dearest Cab Sauv fans, this developing wine is keeping it real with notes of Lapin Cherry, hints of very ripe raspberry, dark chocolate, Ribena, and leather. It is a dry, red wine with high acidity and fair tannin structure. (Think chewy tannin.) It is lusher than Merlot, and worked very well with Kalamata olives and Cambozola. A perfect holiday gift for a colleague. This Merlot reminded me of Blaye — a region in Bordeaux which works with this style/intensity of the grape. It was on the lighter side of the spectrum for body, but still intrigued me with its blueberry, sweet vanilla, mocha, and hint of nutmeg. Plum and dark cherry notes were also available to me. The palate is quite oak driven, with some good tannin structure, and loads of blackberry fruit. The Merlot paired excellently with Raincoast crisps and Cambozola as well, and if you’re a fan of Merlot and cheese, this is a good opportunity for you. For more information, please check out their website. A kind thank you to Culmina for providing me with the samples to try some of these expressive wines.